Colin has two sons, Luke and Logan. He is originally from Wales in Great Britain and he moved to America and became a Camp Counselor in 1996 working for the YMCA in San Diego. He has worn a lot of hats since then such as Teen Director, Outdoor Education Coordinator, Pre-School Instructor and Health Director. His favorite will always be Trip Leader, where he took a 15 passenger van loaded with campers and toured the desert Southwest and New England for weeks at a time! He moved to Upstate New York in 2005 and took the reins at Camp Scully. An Electronics graduate of the University of Glamorgan in Wales, he has turned Camp Scully into a safe, fun and high-quality Camp serving over 1000 campers each year. Colin is an American Red Cross Lifeguard, First Aid and CPR instructor and recently served on the Local Council of Leaders for Upstate New York American Camp Association (ACA). One of his roles with ACA is as a "visitor" where Colin tours other camps to ensure they are complying with the standards that ACA member camps should adhere to. 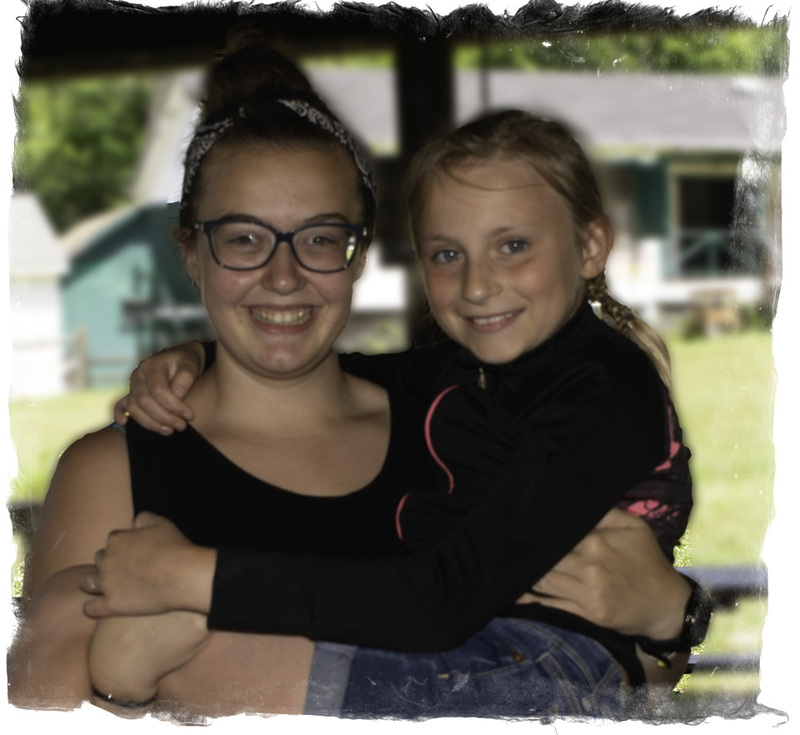 Like Camp Scully, these camps show that they are dedicated to creating a quality program experience that fosters the health and safety of campers and staff alike. Colin's hobbies include photography (he takes all the pictures at Camp) and travel, where he has photographed places such as Alaska, Patagonia and Turkey. But his passion remains at Camp. He remembers his first experience at YMCA Camp Marston in San Diego fondly: "Camp changed my life as a Counselor back in 1996. After serving six years in the army, it was an incredibly different, unique and unforgettable experience!" He learned the value of putting others first and helping everybody regardless of their background, as well as the importance of experiential learning to his education as a caring person. Hello, my name is Machaela Lantz, and I am the Day Camp Director at Camp Scully. When I am not at Camp, I am a special education teacher in the South Colonie School District. I graduated with a Bachelors Degree from SUNY Brockport, and received my Masters in Education from The College of Saint Rose. During my time at Saint Rose, I was introduced to Camp Scully by a previous Program Director, and camp has been like my second home ever since! I am passionate about helping all children succeed – whether at school or at Camp! My goal is to help the counselors make sure all children are included at camp and engaged in the activities – all while keeping the camp magic alive! Hello, my name is Kerri Pangburn and I’m the Program Director here at Camp Scully. During the year, I am a full time student at SUNY Oneonta pursuing an adolescent education and mathematics degree. My hobbies during the school year include running, reading and volunteering. I volunteer and tutor students who are at-risk of or failing their classes. It’s one of my favorite things to do because I’m very passionate about working with children and their families. I found camp two years ago and I am very grateful that I did. It is now my third summer at Camp Scully, and it is impossible for me to imagine a life where camp is not a part of it. Camp Scully is incredibly special and the children are what make it so. I can’t wait to meet you and your children and I wait in anticipation for summer to come! Hi my name is Jordon Wilkinson, I am the Assistant Day Camp Director at Camp Scully. This will be my second year returning to camp from across the pond; England. In Yorkshire I am a full time student studying to be an Architect. I volunteered back home as a teaching assistant and when I got offered the job at Camp Scully last year as the Great White Shark’s counselor I immediately fell in love with the place. From the first day Camp has felt like home. I am passionate about being a positive male role model and helping children grow up become a credit to their families, communities and Camp. At Camp Scully everyone has the opportunity to shine without any care in the world; it really is a special place! Hi I’m Car and I’m going to be the Leadership Coordinator this coming summer. I’ll we working with the LIT Lions for overnight Camp and the brand new Legendary Leaders for Day Camp. This will be my second year at the magical Camp Scully and I’m looking forward to seeing all your smiling faces again. Throughout the year before summer starts I will be in Scotland running around the forest with the haggis and unicorns while helping to get our sweet new Day Camp leadership program up and running. I also work for Aberdeenshire council as a full time lifeguard. I have been part of leadership programs similar to Camp Scully in Scotland for 8 years. Starting from when I first learned to now teaching others how to be confident leaders and develop their skills. Does anyone have a time machine I could borrow to fast forward to summer 2019?